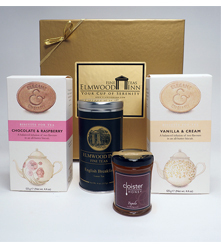 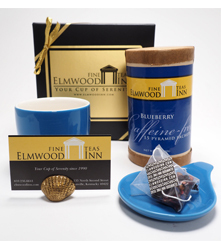 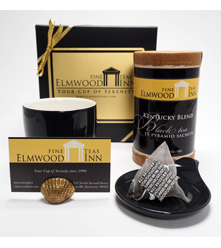 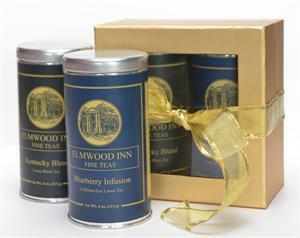 This handsome gift set includes a tin each of our Kentucky Blend Black Tea and Blueberry Caffeine-free Infusion. 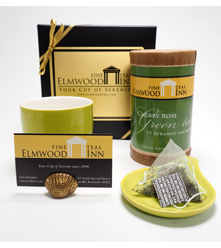 The perfect gift for the tea lover in your life. This handsome gift box contains two quarter-pound tins of our best selling teas - Kentucky Blend black tea and Blueberry All-Fruit Caffeine-free Infusion.